Earlier, NGT had directed the state pollution control board to take action against the CBMWTP if it was still running without permission. Lucknow: The National Green Tribunal (NGT) has recently issued a notice to the Uttar Pradesh Pollution Control Board (UPPCB) directing it to report to the tribunal on its actions taken against the Common Bio-Medical Waste Treatment Plant (CBMWTP) operating illegally in Bareilly city in the state. Chairman of NGT Justice RS Rathore slated the matter for hearing on April 26. 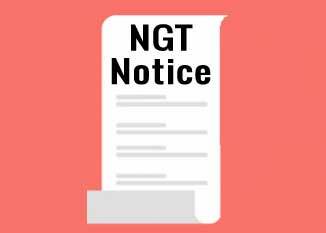 On January 30, NGT had directed the state pollution control board to take action against the CBMWTP if it was still running without permission. During the course of hearing, advocate Gaurav Kumar Bansal appearing on behalf of the petitioner told the court that CBMWTP has to take No Objection Certificate (NOC) from UPPCB under the Environment Protection Act, Water Pollution Act and Air Pollution Act, adding that in the present case, no NOC was issued by the pollution board. He also contended that despite being aware of the violations, Regional Officer (RO) remained silent on the matter.